Barcelona has all the key ingredients for the making of a perfect City Break rolled up into one. Not only is this vibrant city one of the most culturally rich in Spain, but it is also one of the liveliest; it is constantly bustling into the early hours. 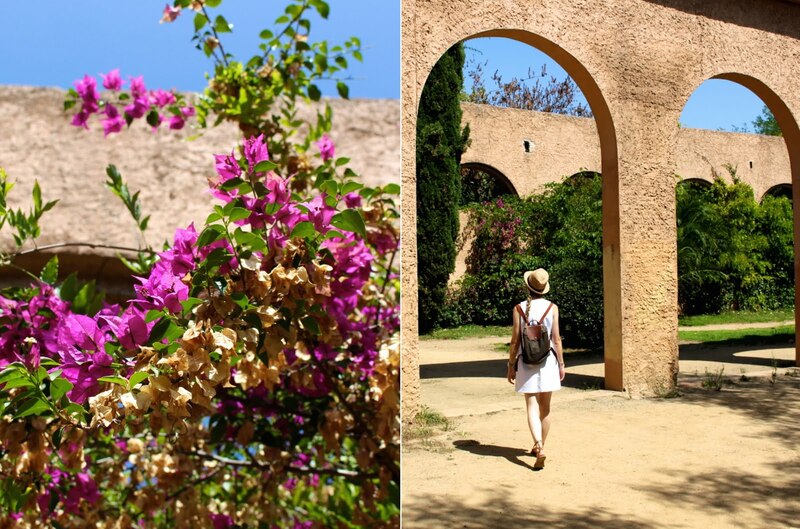 Its diverse combo of Catalan culture, city nightlife, unique architecture and of course the sun, sea and sand, means there really is something for everyone - you'll just never be without things to explore! 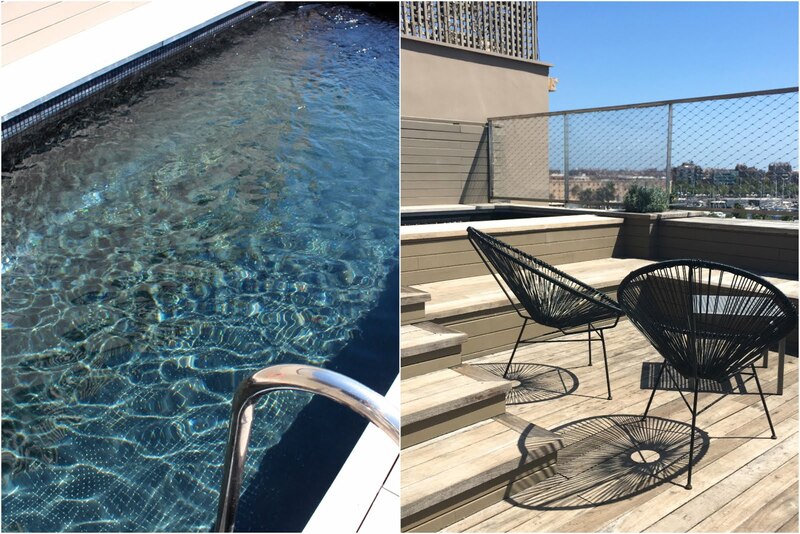 A hotel pool is an absolute necessity in the humid Barcelona heat and it's definitely the perfect way to wind down in the evening. We were lucky enough to have this relaxed and intimate rooftop area where we could chill out with panoramic views of the port and sea! The best areas for wandering around include the the Gothic Quarter and the neighbouring El Born District. For shopping, Carrer del Pi in the El Born district is peppered with cute little interior and fashion shops. Carrer de la Llana also has some trendy little boutiques and great cafe options. We found the best spots to grab a bite to eat were spread out all over the city, and definitely away from the tourist hot spots. One of our favourite discoveries was Hotel Brummel. 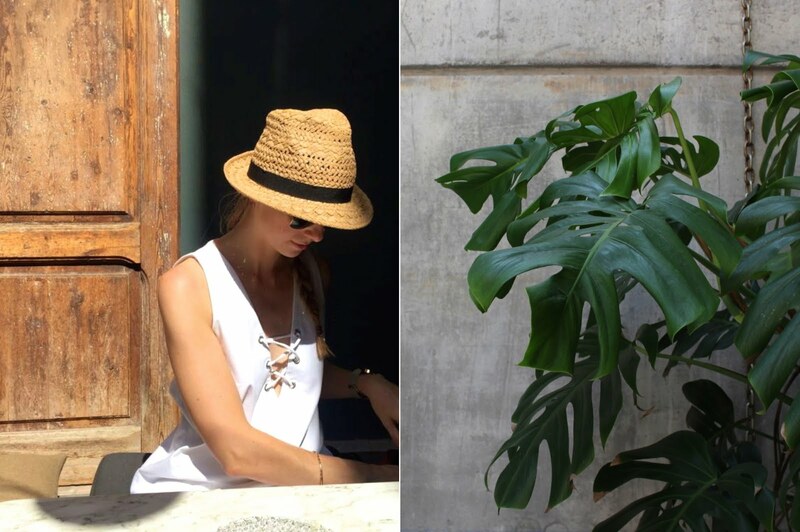 Although this spot comes highly recommended, we stumbled across it completely by chance - drawn to its healthy, light lunch options, chic interiors and beautiful, shaded courtyard - this place was a haven after a long day of exploring in the heat on foot! Federal Cafe - a definite hipster hangout, this place also had great food, quality coffee and cool, minimal interiors. We had a delish first breakfast here and returned for more thanks to its varied menu and good food. Just off the central tourist hot-spot of Las Ramblas you will find the La Boqueria market - this is a treasure trove of fresh produce; we stopped off here for delicious fresh juices and a hugh array of fruity snacks- the perfect pick me up to keep you going throughout the day! Satan's Coffee Corner was a relaxed and central spot with great authentic coffee - we had a lazy breakfast here but with its array of baked goods it would also make a great afternoon pit-stop for a coffee and pastry... yummmmm! In the evenings we wandered the side streets in search of tapas, and enjoyed delish food and wine in a relaxed and friendly atmosphere at Gourmet Tapas. On a cultural side note, it wouldn't be my first trip to Barcelona without seeing some of Gaudi's masterpieces! Of course they are total tourist traps, but I still recommend stopping by and experiencing them for yourself. 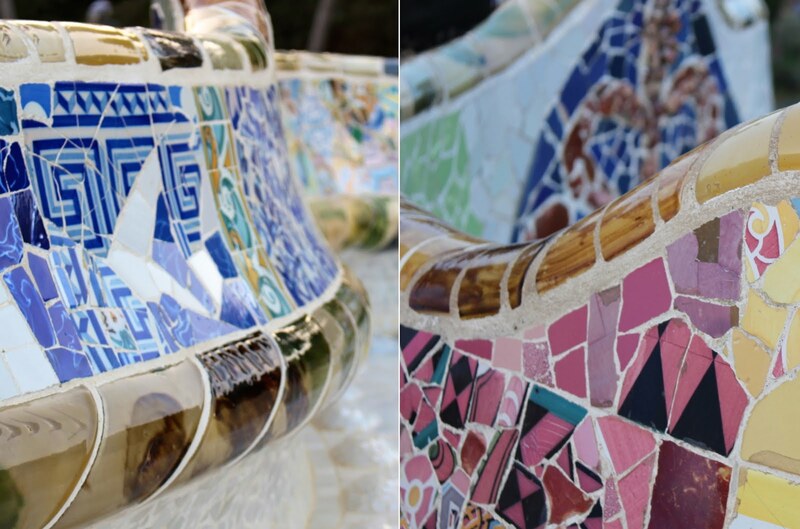 Park Guell has to be one of the main attractions, and we found that the key is to book ahead and to avoid the peak times (although it is always packed...) We headed there in the evening and the timing made all the difference. The sun was setting so the light was perfect, the temps were much cooler, and even the crowds were dwindling! I couldn't believe how beautiful and unique the architecture was in real life - the mosaics were absolutely awe-inspiring and every turn was a new visual delight - definitely worth battling the crowds for! 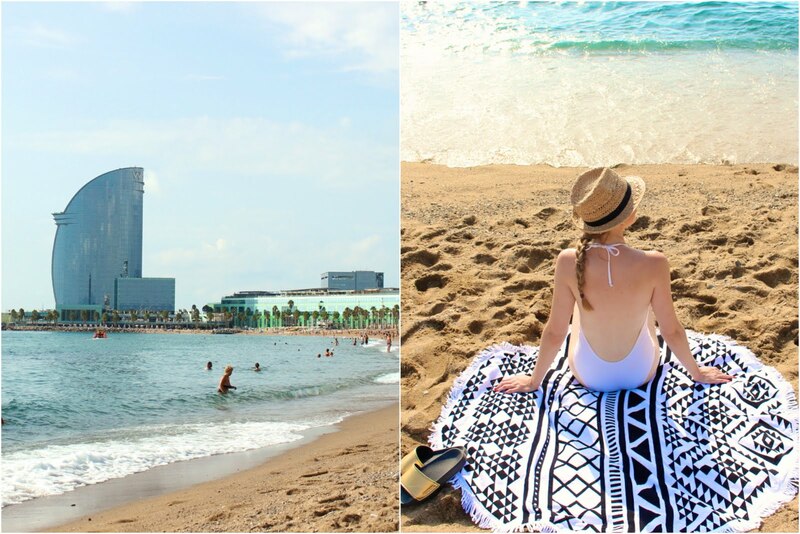 Of course one of the unique perks of Barcelona is the beach - it's definitely a great bonus to have the option to spend a few hours relaxing by the sea, even if it's not the number 1 reason you would pay the city a visit. It was great to chill out on the beach and admire Barcelona's distinctive urban seascape and signature view of the infamous W hotel! Finally, we trekked out of the city to the tropical haven of Jardins de Laribal - this was a peaceful oasis with lots to explore, full of beautiful plant life and impressive water features at every turn. Having spent a long weekend exploring the city, I still feel there is so much left to discover - it is impossible to be bored if you are open to exploring this place! If you're torn between a vibrant and cultural city trip, or a relaxing beach break filled with sun, sea and sand, then why choose? Barcelona has it all covered!